Are You Floored Everytime You See A Guitarist Playing Killer Fast Blues Guitar Licks? Do you want to be able to play fast blues guitar licks yourself but you don’t know where to start? Playing fast blues licks on guitar is not as hard as it seems if you know how to exactly practice these powerful blasts of speed. Also having the tablature of these licks right in front of you when you practice is key, so you know exactly what to do note per note. That’s why I created the FREE Guide on ‘How To Master Fast Blues Guitar Licks’. Learn the number one secret to playing fast blues guitar licks with minimum effort. 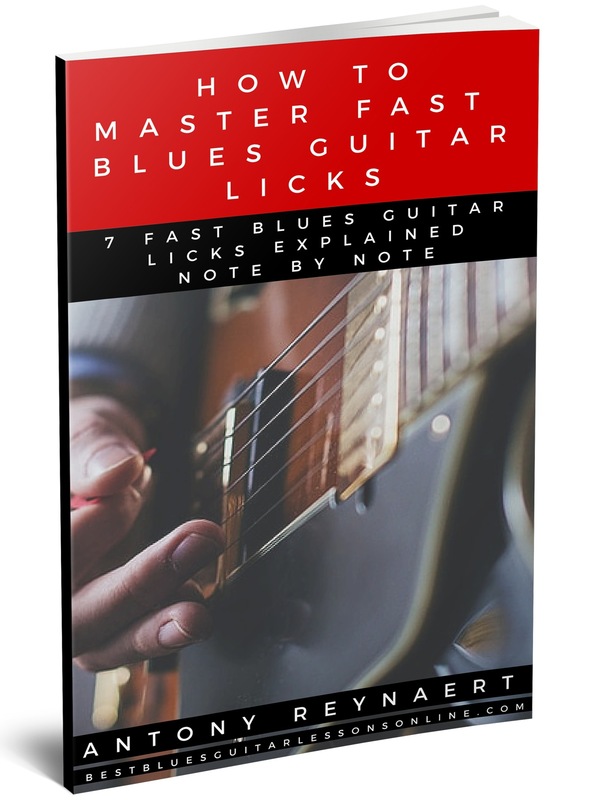 Get 7 fast blues guitar licks explained note by note, with tablature and written out instructions, so that you know exactly what to practice. Learn how to never look at fast blues guitar licks as something that is not for you because it’s to difficult. We will break down fast and complex blues licks so that they become more simple to practice. After reading the free guide and practicing with the licks you will never look at fast and complex blues guitar licks in the same way. Learn the best picking approach for playing fast licks on guitar. Did you know that speed on the guitar largely comes from the picking mechanics? You will learn exactly how to do this. Get the absolute best fast guitar licks to practice. I have prepared licks in several blues guitar styles (such as in the style of Texas blues guitar master Stevie ray vaughan) that are waiting for you in the guide on the next page. In order to get access to the FREE ‘How To Master Fast Blues Guitar Licks’ Guide, simply fill your name and email address in the box below. All information is kept 100% private and confidential.